Bringing in the fall season with my favorite Tazo teas. Recently, I have not been feeling well due to the changing seasons and my upcoming surgery to relieve me of some of the pain I have experienced with Endometriosis. If you’ve followed my Instagram stories, you have definitely seen how under the weather I’ve been lately! One of the ways I soothe my cramps and sinuses when I’m feeling ill is with Tazo’s Ginger Green Tea. The ginger and lemongrass infused tea soothes my stomach and opens up my sinuses. I love to add a slice of lemon too for added Vitamin C. Green tea is also known to boost metabolism, which helps me get back on my feet more quickly! 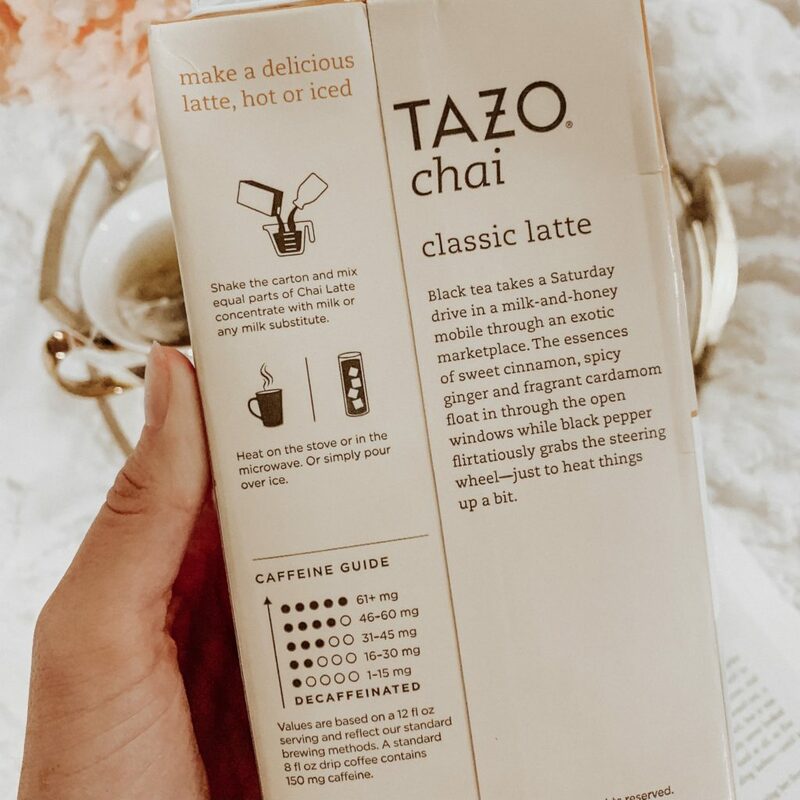 As for Tazo black teas, I am obsessed with their Classic Chai Tea Latte. My go-to recipe is just adding milk to their classic chai tea latte concentrate and heating it up on the stove. I then add a little pumpkin spice seasoning for that extra fall kick! It’s the perfect drink to share on a fall afternoon with friends. I also love that it can be made over ice as well since the fall afternoons in Virginia tend to get a little toasty! Tazo teas are a fall staple in my kitchen pantry. I love that you can enjoy them at any time of the day and personalize your tea to fit your taste buds. 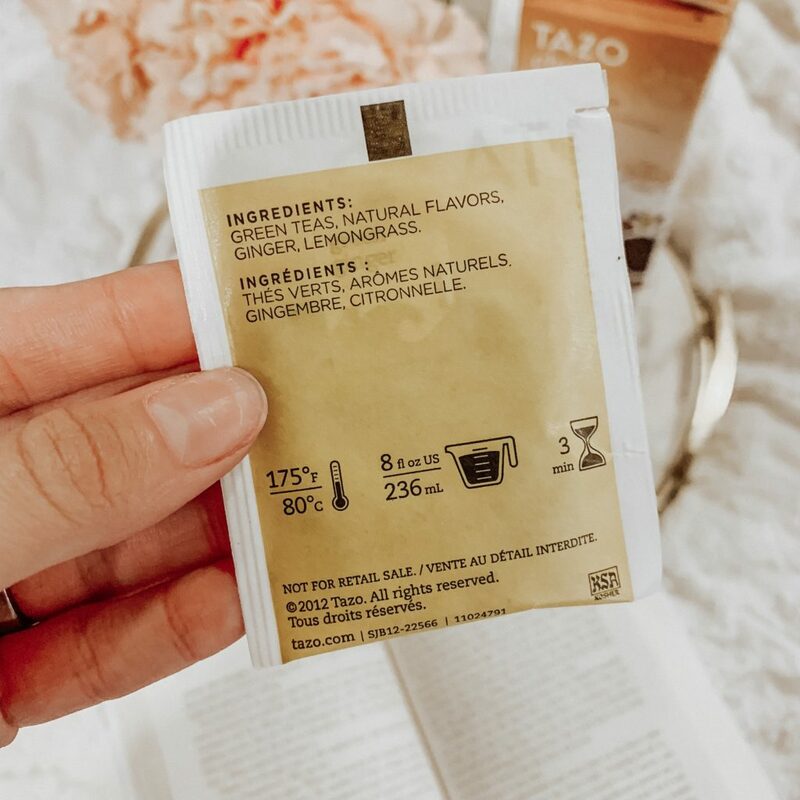 If you haven’t tried these teas from Tazo, you can purchase Tazo tea from your local Publix or most grocery stores! Tazo Passion is my absolute favorite tea! Tazo teas in general are fantastic. Such deliciously smooth blends. I hate when the weather changes, it always affects my sinuses and allergies. I’ve never tried tea, though, so I’ll have to try that. But I have to say, after moving, I miss Publix! Thank you for sharing. I’m searching for a good chai tea for the season. Not all are tasty. I love tea, aside from it gives you a better digestion, it also makes your tummy slimmer. Thanks for giving a different touch on tea. Autumn is here. It’s the perfect time for me to enjoy a nice warm cup of Tazo Chai tea. I used to drink coffee, but now I have given that up and all i drink is tea! I am really into finding new teas at the moment, this sounds like a must! A little different too, i like it! I have heard that it is go od but I have never tried it. Will try it out. I got sick recently too and it hit me hard…being sick while also dealing with endo issues can’t be easy; but luckily Tazo has your back! My husband loves green tea and black tea more than me, I will recommend this to him. Sounds like a great product. I’m having sinus problems as well. I do hope I finda similar tea here in our place. Tea is great all year round! But you are right…seasons change, tea is vital. This is the best tea. I love it so much, thank you for letting other people know about it. I am not a tea person but after reading your review I love to give a try to ginger green tea. Btw my mum will love this tea because she likes finger tea. I love Tazo tea, its a staple in my Tea bar! Love your pics! 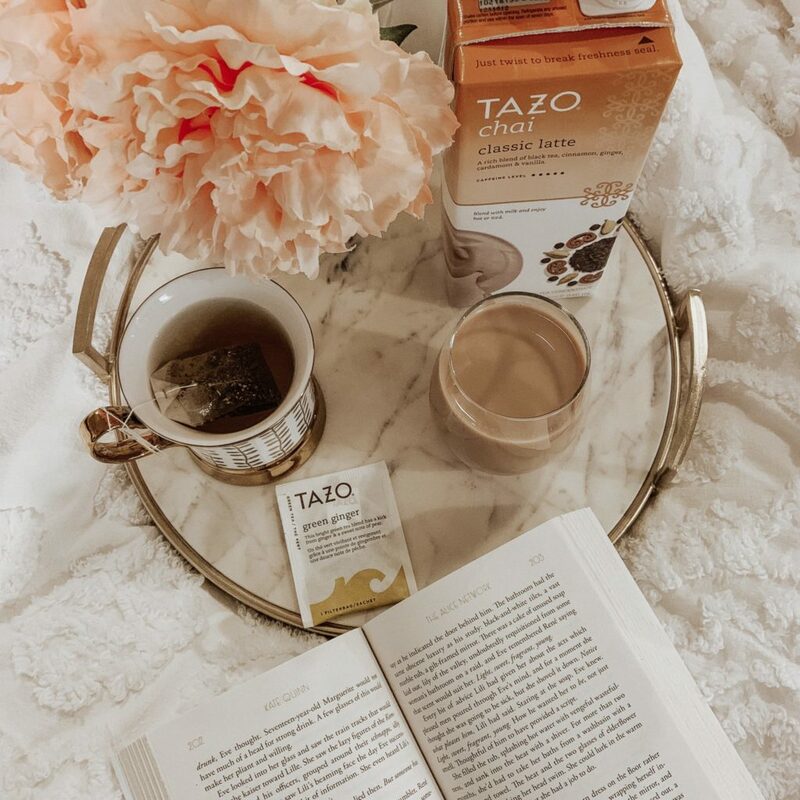 mmm I love chai tea, I have tried many Tazo teas and I really like them. Great article! Hope you are feeling better now! That tea sounds so good! I love tea in general, but flavored green tea is always my favorites during winter. I LOOOOOVE tea and fall is my favourite season to drink a hot cup of tea! These flavors sound fantastic I love anything with ginger in it! I will surely try tazo tea and make sure that it should be in my kitchen evertime. I’m obsessed with ginger tea! I’ll drink it at least three times a day. I feel like ny immune system is super strong because of it! I am a coffee lover and a tea lover. I am intrigue with your new favorite! So cozy. I love teas but especially this brand as well! Yummy.